This post was done in partnership with The Sweethome, a buyer's guide to the best things for your home. Read the full article with more details and background information here. With solar power, there's no one-size-fits-all solution. Before deciding whether we could recommend any components for solar power, we spent weeks compiling statistics, wading through specifications, and getting expert input—and even so, the picks we make here represent only a starting point on the road to solar. Every installation needs to take into account electricity consumption, geographic location, roof orientation, local permits, and a host of other issues. This guide will help you get a rough idea of how much power you'll need, and then, in most cases, the first option you should consider is a grid-tied system made up of Suniva Optimus 335W monocrystalline solar panels paired with SolarEdge P400 power optimizers, plus a SolarEdge inverter at the heart of it all. Suniva panels are efficient, affordable, and backed by a reputable warranty from a company with manufacturing in the US. SolarEdge inverter components, meanwhile, combine the reliability and cost savings of a traditional string-inverter system with the placement flexibility and increased efficiency of microinverters. In the past five years, solar panels have started to become a commodity item, with small technical differences that are immaterial to most homeowners. 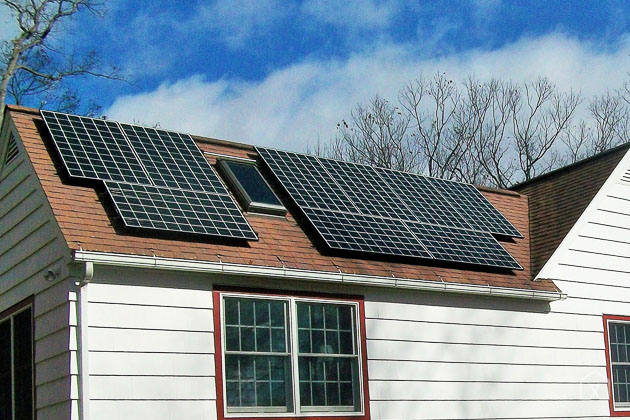 The Suniva panels, made at factories in Georgia and Michigan, come with a 10-year warranty and a 25-year power guarantee, though most other top-tier manufacturers offer the same warranty. The Suniva panels are right in the middle when it comes to efficiency rating—not so low as to require the extra space that cut-rate panels may need, but not so high that you're paying 50 percent more for engineering prestige you'll never notice. If you can find panels from a similarly reputable company with the same warranty and similar efficiency but a lower price tag, you'll probably be just as happy with them. But the Suniva panels should be the bar that you try to clear as you shop.